2. Can You Refinance Your 401(k) Loan? 3. Do You Have to Pay Income Tax on a 401(k) Withdrawal? A 401(k) retirement fund is intended for post-retirement spending. Because the account is tax-deferred, federal laws govern when and how you can withdraw money. Unless you’re prepared to give up a big portion of your savings for taxes, it pays to understand the rules about 401(k) withdrawal. You also need to learn what your plan allows, including how old you need to be to begin withdrawing without penalty, what form your withdrawals will take and whether you’ll be taxed for withdrawals. The IRS doesn’t define a strict retirement age when it comes to withdrawing money from a 401(k), but it does classify withdrawals made before age 59 1/2 as early withdrawals that must be reported to the IRS. Early withdrawals are subject to taxes on the withdrawal amount as well as an additional 10 percent tax penalty. After age 59 1/2, you can take elective withdrawals without the penalty. The IRS allows you to just leave your retirement account alone and continue to accrue earnings, even after age 65. Once you reach age 70 1/2, you are subject to a required minimum distribution that will continue each year for the remainder of your retirement or until your fund is exhausted. In addition to IRS rules about 401(k) retirement age and minimum distributions, the administrator of your 401(k) plan can specify when you must take a distribution. Some plans require to you to take a lump sum distribution when you retire and leave the company, while others allow you to keep your money invested in the plan. If you’re allowed to stay in your former employer’s retirement plan, you may be required to start taking a distribution at age 65 or some other age that your employer defines. If you want to take a distribution from a 401(k) before age 59 1/2, you may qualify for the so-called rule of 55. This exception targets employees who may be forced to retire early after unexpectedly losing their job while close to retirement age. According to this rule, the IRS allows you to make penalty-free withdrawals if you leave the job where you have your 401(k) at age 55 or older and do not leave the money in the 401(k) account. The money from your early 401(k) withdrawal should not be rolled over into an IRA, or you will be subject to the early withdrawal penalty. People who aren’t yet 59 1/2 and who don’t qualify for the rule of 55 for distribution may still be able to withdraw money from their 401(k) by requesting a hardship distribution. The IRS allows this withdrawal without the 10 percent tax penalty when there is a large financial need that must be met immediately. The money withdrawn must be used to meet this need. The amount that can be withdrawn may by limited by the plan administrator to include only the money contributed by the employee, excluding employer matching funds and investment earnings. Examples given by the IRS of acceptable hardships include home purchases, tuition, medical expenses and funeral costs. Once you qualify for distribution from your 401(k) retirement account, you may be given several options by your plan administrator. One of these is a lump sum distribution in the form of a check or direct deposit into your checking or savings account. Periodic distributions are another option, especially for retirees who are happy with their current 401(k) earnings and don’t want to move their savings into another account. Using some or all of a 401(k) retirement distribution to purchase an annuity is another option provided by some plans. If you request a lump sum distribution for your 401(k) and decide to keep the cash, you’ll have to pay taxes on the entire amount in a single tax year. This could wipe out a large portion of the tax-deferral benefits you earned while you were working. If you don’t need the distribution all at once, most financial experts would tell you to roll it over into an IRA or other retirement account. You won’t owe any additional taxes if you complete the rollover within 60 days, but you still required to let the IRS know by filing Form 1099-R. If you decide to take 401(k) retirement distributions on a periodic basis, you should contact your plan administrator and specify an amount that will be distributed on a monthly or quarterly schedule. Most plans let you change this amount once per year. One of the drawbacks with this type of distribution is that it’s up to you to determine the correct amount to withdraw and to make sure you don’t run through your retirement fund early, despite market fluctuations that may affect the remaining balance of your 401(k). A 401(k) distribution annuity is a type of insurance investment offered by a variety of financial institutions. Money is withdrawn from a 401(k) and used to purchase an annuity that offers a guaranteed income into the future. If the annuity is a qualified retirement plan, the withdrawal will not be taxed. The terms of the annuity determine the amount of monthly income that will be provided. Insurance companies use low-risk investments for annuities, limiting the size of monthly payouts with this type of distribution. Also, retirees should check on the annual fees associated with an annuity making a purchase. The IRS allows you to postpone taking any distribution from your 401(k) retirement fund until age 70 1/2. When you reach that age, or in some cases on April 1 of the following year, the IRS says you must take your first required minimum distribution. Every year after that, the required minimum distribution must be taken by Dec. 31. The amount of the required distribution is determined by taking the balance of your 401(k) account on Dec. 31 of the previous year and dividing it by your life expectancy, which you can obtain from an IRS life expectancy table. Your plan administrator will calculate the specific amount of your required minimum distribution, but you are responsible for making sure the calculation is correct. The required minimum distribution must be withdrawn in the current year; an excess withdrawal from a previous year cannot be applied to another year. In addition to your required minimum distribution, you are also allowed to withdraw as much additional money as you like from your 401(k). If you don’t withdraw at least your required minimum distribution, you could be taxed at a rate of 50 percent for the amount not withdrawn. Any retirement distribution you take from a 401(k) is treated as taxable income by the IRS and will be subject to taxation at your current rate, even if it’s a required minimum distribution. Federal taxes will be withheld from your distribution at your current tax rate. 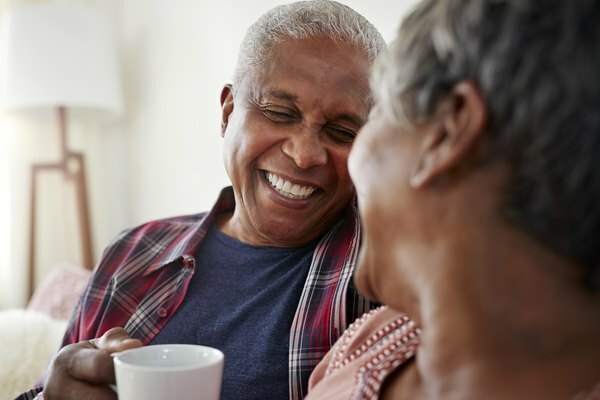 You may be able to get some of this refunded by rolling any excess distribution into another qualified retirement account, but you might not want to do that if you need the distribution for retirement living expenses. Also, you are excluded by law from rolling over the amount of a required minimum distribution and claiming a tax refund. 401(k) withdrawals can sometimes come with unexpected rules or penalties. Consult a financial adviser for more information on the options available to you. You are required to make 401(k) withdrawals once you reach age 70 1/2 or when you retire, whichever occurs later. If you are withdrawing before the age of 59 1/2, your withdrawal will be taxed an additional 10 percent unless you meet certain IRS exceptions. IRS: When Can a Retirement Plan Distribute Benefits? Is It Worth It to Contribute to My Company's 401(k)?